Hoover DYC881328XC Tumble Dryer front panel decal sticker set. 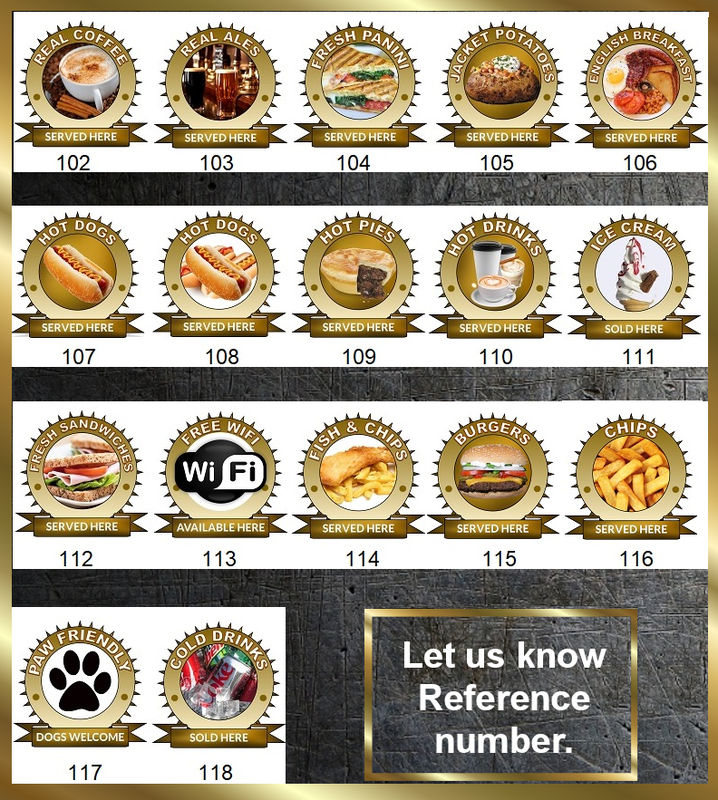 Indesit oven, cooker decal sticker sets for worn facias. Indesit 0-6 anticlockwise reverse hob stickers, may suit others. Indesit Aria IFW 6230 WH UK fascia decal sticker set. Indesit Aria IFW 6330 IX/WH UK fascia decal sticker set. Indesit DDD5340 Fascia sticker set for worn fronts. 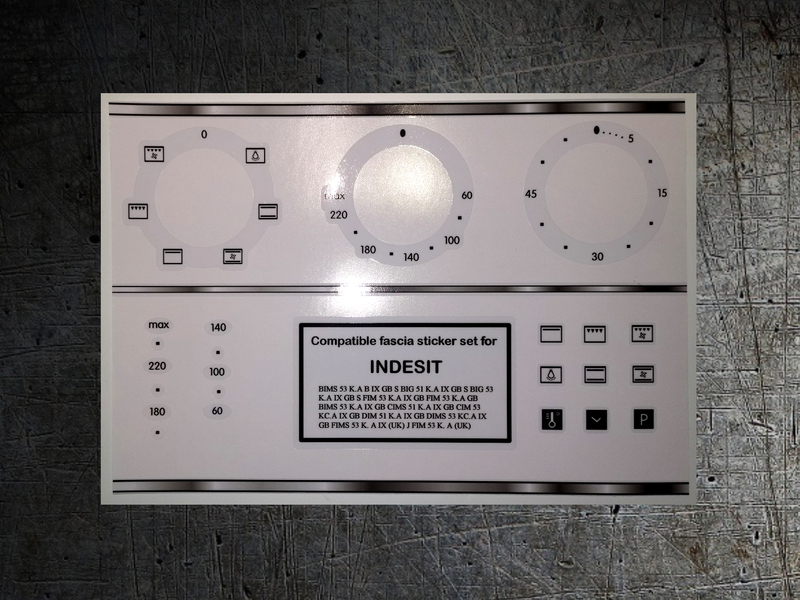 Indesit DDU 5340 C IX front panel decal stickers for worn. Indesit DG60G2W, facia, decal, stickers, may suit others. Indesit FI 21 K.B, FI 21 K.B IX etc facia sticker set. Indesit FIMD23 IX fascia decal sticker set. Indesit FIM73 KC.A, BIG73 KC.A fascia sticker set. 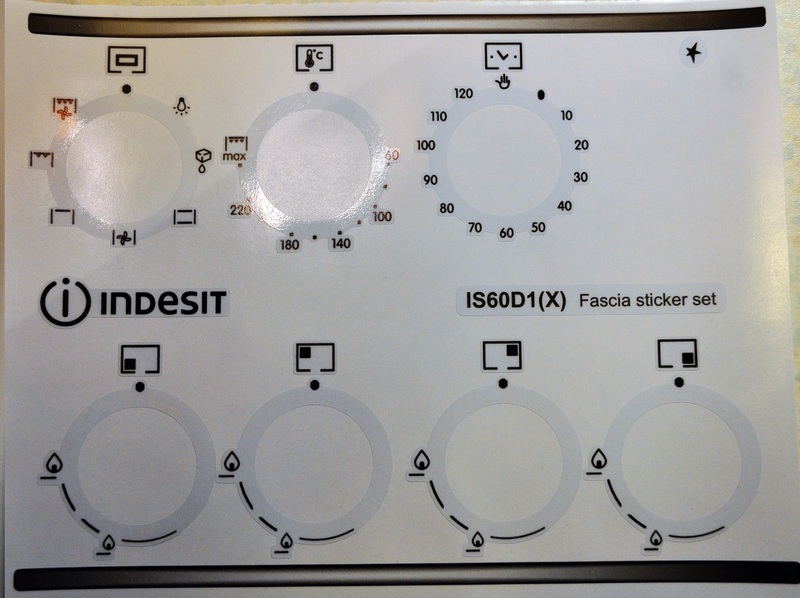 Indesit IS60D1(X) oven, cooker fascia panel stickers.